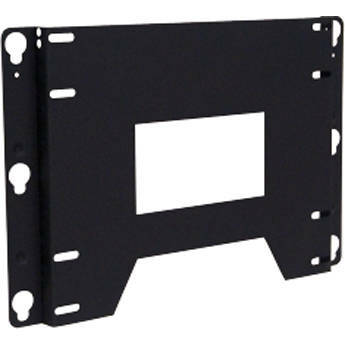 The Chief PSM2430 Flat Panel Custom Fixed Wall Mount is designed for mounting displays up to 65" or 175 lbs. With a steel construction and seismic rated for safer installation the PSM2430 is a one-piece custom bracket that mounts flat panel displays in landscape view quickly and securely. The PSM2430 also features a low-profile, a lockable latch, and the option of adding multiple accessories. To confirm the compatibility of this mount with your flat panel display and to determine if an interface bracket must be ordered please visit Chief's MountFinder Pro. Box Dimensions (LxWxH) 20.0 x 20.0 x 2.0"